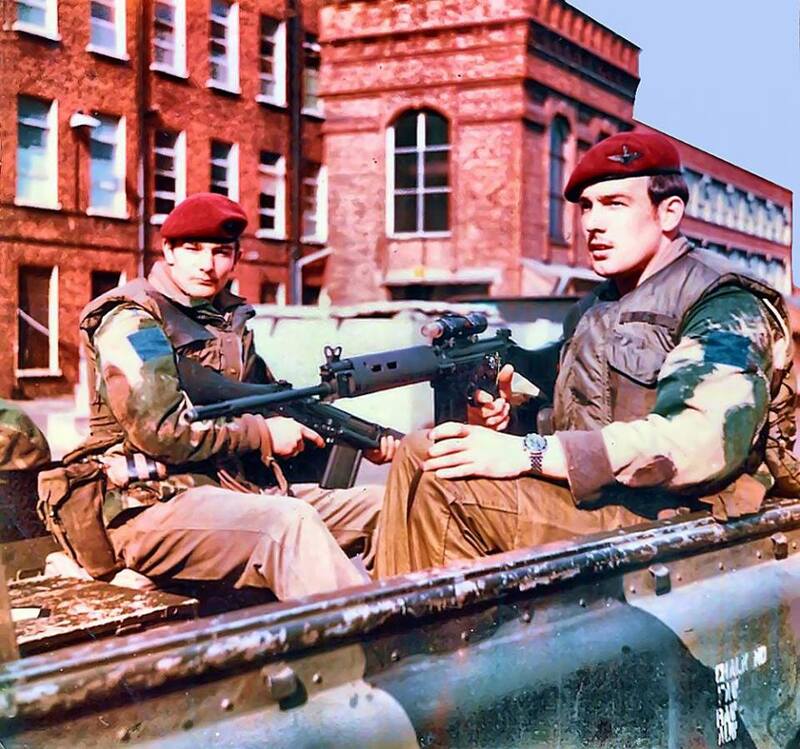 Soldiers from 2 Para on patrol in the Ardoyne, 1975. The SLR of the Soldier on the right is equipped with a Singlepoint occluded eye gunsight (OEG). These were the forerunner to modern day red dot sights like the Aimpoint or EO Tech and were first used operationally by the Son Tay raiders in Nov 1970. The OEG is unique because you can’t see through it. When you look in the end you will see a black field with a red dot floating in it. You look at the target with your other eye and your brain merges the two images into one. So you see the red dot superimposed upon the target. You need to use it with both eyes open for the sight to work.